Mindfulness and art come hand in hand. They cross beautifully. 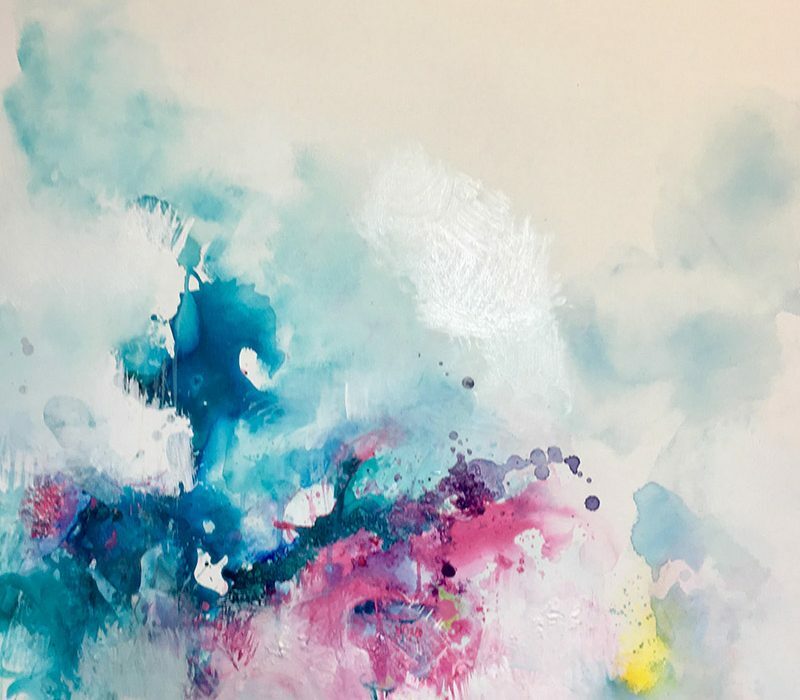 Most artists experience this beautiful connection during the creative process – constantly listening to the quiet voice, responding, and making marks from the hand of intuition. There’s nothing more delightful than that creative pop when a new idea explodes into life. You might have heard of ‘mindfulness’. It’s the new buzzword. But what, exactly, does it mean? And can we really be mindful in this new digital world where everything moves so fast we don’t have time to eat, sleep or notice? Sometimes it’s hard even to notice our loved ones. Mindfulness is a practice. It’s a discipline similar to meditation where we focus on our inner world – becoming aware and conscious of our thoughts. By practicing mindfulness we become immersed in our everyday lives without judgement and allow life to flow harmoniously. How do we stay in this unique state when the world is bombarding us? We turn our awareness inwards creating space, so we can function in the outside world but with a more centred approach. Once we understand that the only permanent thing in life is change, we learn that everything will soon pass. Whether it’s good or bad. This comes as a relief because we know we have the power to move forward. Awareness like this cannot be learned overnight. Like most disciplines it takes practice – especially when life is not going our way. And with practice we eventually begin to see results. So how do you feel now? Is it empowering to realise that situations can’t control you? If the answer is ‘yes’ you have finally become aligned with your happier true self – a side of you that isn’t controlled by external circumstances. Mindful drawing workshops offer guided meditations that open up your intuition and help you practice mindfulness. Using drawing techniques the workshop gives you the tools to harness your power within. Can anyone draw? Yes of course. You just need to take the thinking mind out of the way and ignore your inner critic. It’s about realising the difference between SEEING and looking, and learning how artists perceive a subject and become inspired. The workshop will help you to do these things. No drawing experience is necessary – only an interest in meditation. The goal is to help you combat your inner critic, enjoy the art of drawing, and bring harmony, flow, awareness, and inner stillness to your life.